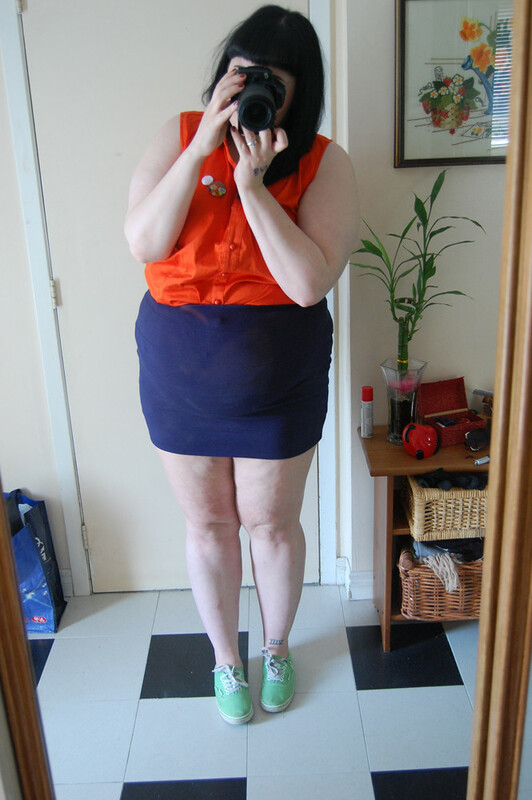 OoTD – The Plump it up! Last night I had the absolute pleasure of going to Plump it Up presented by Granny Boots. I had no idea what the dress code was going to be like but I took the opportunity to get my colour blocking on (sort of). I’ll try not to rant too much about how amazing the performances were last night and keep this about my outfit. Plump it Up was such a deliciously delightful, seductively sinful and whimsically wonderful event. I honestly never wanted it to end! I’ve admired colour blocking from afar but I didn’t really have the proper articles of clothing to pull it off. I received this Lane Bryant blouse in the mail on Monday and I knew instantly what I wanted to do. Originally, I had planned on using my loose fitting skirt but it just didn’t feel right for the event. I wanted a prominent belly and noticeable thighs. Thankfully, I had just washed my blue bodycon skirt from Forever21 the night before and voila, I had myself an outfit. 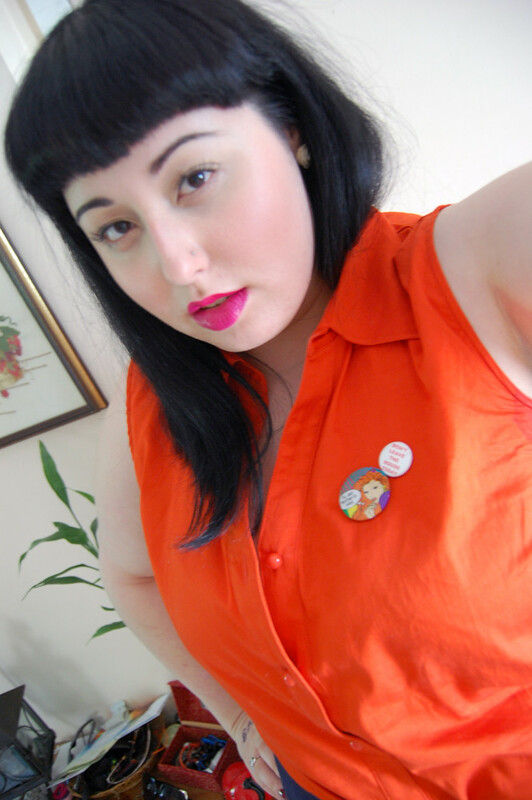 I popped up some buttons — which happen to be my new favourite accessory — to give myself some edge.